Having been the first two-year term chairman for AGMA, I can say that it has been a tremendous experience. It has allowed me to grow personally, and to guide our association in a direction that I hope will benefit the members and the industries they serve for many years to come. AGMA is involved in areas that require it to keep stepping forward in meeting the needs of its members. These needs go beyond the domestic committees and now take AGMA into a global outreach to serve both domestic and international members. During the past two years AGMA has navigated successfully through a most severe economic downturn. Nonetheless, as good stewards of the investments of our member companies, we made some great steps ahead. These and other endeavors will ensure that AGMA continues to bring value to its members and the industry into the future. Several years ago our Board of Directors decided to sell the office condo—that AGMA had outgrown and had owned since 1984—and moved to leased office space. When that lease expired, rather than renewing the Board chose to purchase a new office location, which opened in December 2010. Responding to the market and input from our members, we formed a new technical committee to tackle energy efficiency of products from our industry. This committee is well underway with the design of a new online software tool that will help users optimize efficiency in the design of geared power transmission systems. AGMA will continue to develop educational programs that focus on the training needs of the next generation of engineers and machine operators. We are also committed to continue providing economic forecasting information pertaining to the growth of the various sectors within the U.S. economy as they relate to our industry. But there’s more to the story than just the United States. Understanding that the world gets smaller every day, the association is planning an economic summit in Budapest, Hungary, that will focus on the industry from a global perspective. This will allow the major global gear reducer manufacturers, component suppliers, and some of the primary machine suppliers to meet and discuss mutual concerns and gather additional information on the evolving global gear market. I have had the pleasure of visiting many customers during my tenure as chairman, and with every visit I was impressed with meeting the machine operators and staffs. The machine operators and shop personnel clearly display a dedication and quality focus that is very important for competing in this industry. I would not hesitate to contact any of these shops if and when I need to purchase gears. At the upcoming AGMA Annual Meeting in San Antonio, Texas, I will wrap up my tenure as the first two-year chairman. It is unfortunate that I could not visit all of the AGMA member companies and shops, but as I continue in the industry I can assure you that I will continue to work with the members and the association to ensure the success of the industry and its member companies. At the meeting I will “pass the gavel” to the incoming chairman, Matt Mondek. I wish Matt much success and enjoyment during his two years as the chairman of AGMA. AGMA is happy to report that the association continues to grow and now has more than 425 companies in its membership representing the industry in more than 30 countries. In the past six months, more than 20 companies have joined AGMA. To find out more about these companies, visit their Web sites. To learn about AGMA and how membership can benefit your company, visit www.agma.org or e-mail membership@agma.org. Bucyrus International is a world leader in the design and manufacture of high productivity mining equipment for surface and underground mining. Bucyrus surface equipment is used for mining coal, copper, iron ore, oil sands, and other minerals, and underground equipment is used primarily for mining coal. In addition to machine manufacturing, Bucyrus manufactures high-quality OEM parts and provides world-class support services for its equipment. Bucyrus International is headquartered in South Milwaukee, Wisconsin. Cameron is a leading provider of flow equipment products, systems, and services to worldwide oil, gas, and process industries. Leveraging its global manufacturing, engineering, and sales and service network, Cameron works with drilling contractors, oil and gas producers, pipeline operators, refiners, and other process owners to control, direct, adjust, process, measure, and compress pressures and flows. Chemineer is a supplier of mixing solutions and products to customers worldwide. Since 1952 the Chemineer name has come to be well known in the chemical and petrochemical, pharmaceutical, biotechnology, polymers, and food and grain processing industries. Founded in 1957, Columbia Helicopters has expanded to include a worldwide fleet of over 30 aircraft and approximately 800 employees. Since 1969 it has become the world leader in helilogging, annually yarding more timber than any other company. Evonik Rohmax supplies chemical additives designed for use in automotive and industrial lubricants, fuels, and refinery processing. Evonik Rohmax is part of Evonik Industries AG, a global market leader in specialty chemicals. Grupo Meusnier, S.A. de C.V.
Meusnier is a leader in the manufacture and repair of mechanical components for power transmission equipment. Their diversity of products and services range from individual components to complete power transmission systems. Luren Precision Chicago Co., Ltd. Founded in 1994, Luren Precision started the production of gear cutting tools at Hsin-Chu Science-Based Industrial Park in Taiwan. The key members who came from the Industrial Technology Research Institute (ITRI) had hands-on experience on high technology and high precision machinery to produce aircraft gears and components. Luren Precision has three main departments, which focus on gear cutting tools, spin pumps and machinery. In addition, Luren has established a technology development team which integrates Universities and ITRI to assist Luren in providing manufacturing solutions for various gear technology requirements and special high precision parts. Master Power Transmission recently acquired Baldor Electric Company’s DODGE manufacturing facility in Columbus, Indiana. Its product solutions help customers achieve a competitive advantage in varying applications within a broad variety of Industries. Drawing from more than 90 years of experience the company’s strong market knowledge, talented staff, established customer relationships, and rapid response service capability provide measurable value to its global customer base. Mazak Corporation is the North American manufacturing, sales, and support arm of the leading international machine tool builder, Yamazaki Mazak Corporation of Oguchi, Japan. It produces machine tools and systems for the precision machining of metal parts, including CNC turning centers, horizontal and vertical machining centers, multi-tasking machining centers, turnkey cells, and software solutions to help customers achieve lean, efficient manufacturing operations. Motor & Gear Engineering specializes in the manufacture, design, and engineering of gear sets and gearboxes, custom machinery; sales and service of all types of electric motors, motor drives, and generator sets. Its services include machine design for automation, custom automation equipment, robotics, and CNC turning and milling, also offering consulting and general machine shop services. Proteck is a multi-product engineering company that manufactures machinery and software for diverse industries. Their product lines include printing machinery, packaging machinery, CNC machine tools, and CAD/CAM software. Proteck products are operational in more than 20 countries worldwide. Regal Beloit, founded in 1955, manufactured cutting tools and gearboxes throughout its first 25 years. During the last 25 years it has completed 28 acquisitions. This expanded product line reflects that Regal Beloit products are “At the Heart of What Drives Your World,” alluding to the fact that most of its products are necessary—not optional—to the function of the equipment powering our world. Sandvik is a high-technology engineering group with advanced products and a world-leading position within selected areas. Worldwide business activities are conducted through representation in more than 130 countries. Sandvik’s operations are based on unique expertise in materials technology and extensive insight into customer processes. Shute Upton Engineering is a major precision and general engineering business that maintains and prolongs industrial equipment. Since 1957 it has delivered year-round specialist emergency breakdown repair services designed to dramatically minimize customer downtime. Stack Heat Treaters was opened in 1984, and in 1995 changed its name to Stack Metallurgical Services. The company started out with a couple of atmosphere furnaces and companion draws, but since then has grown into the most versatile provider of heat treating services in the Pacific Northwest. Sunnen provides precision honing equipment for both the industrial and engine building market. It has a system for virtually any bore sizing application, even submicron tolerances. The company has also incorporated its experience into a complete line of abrasives, tooling, and gages. With more than 50 years of innovation and experience, this company is a developer and manufacturer of advanced underground construction machinery. Robbins has been involved in hundreds of tunnel boring projects around the world. Today it offers an extensive range of underground excavation equipment. Since its establishment in 1972, the company has been dedicated to the manufacture of gear measuring instruments. Its gear testing machines have been contributing to the manufacture of gears all over the world through the support by both domestic and overseas customers. TopGun Consulting is a specialized firm that focuses on profitability and streamlining of manufacturing processes. With over 30 years of manufacturing background, it is positioned to help small and large companies achieve their goals. AGMA is pleased to announce the appointment of Matt Mondek of Cotta Transmission as chairman of the board for 2011-2013, as well as the appointment of Lou Ertel of Overton-Chicago Gear Corporation as treasurer. 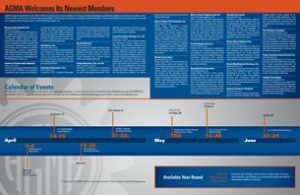 The Board of Directors also welcomes four additions: Sulaiman Jamal, managing director of Bevel Gears (India) Private Limited; Bob Sakuta, president of Delta Gear, Inc.; Michael Smith, vice president of sales and marketing of Capstan; and Mike Suter, vice president of marketing of Emerson Industrial Automation. Sulaiman Jamal received his degree in mechanical engineering from P.S.G. College of Technology, Coimbatore, South India. After his technical education he worked in the P.S.G. toolroom before joining a bevel gear company in Bangalore where he was exposed to bevel gear cutting tools, bevel gear manufacture, and heat treatement of bevels. He branched out in 1976 to start his own gear shop and has expanded his business since. He now is the chairman/managing director of the Jamal Group of companies, which manufacture a very wide range of bevel gears—straight and spiral including spiral grinding/curvic coupling grinding and bevel gear-related products. He and his wife Christine live in Bangalore and have three children: Mushtaq, who just finished his MBA after his mechanical engineering at Calpoly, California; Adela, a business graduate from San Francisco State; and Zain, an economics graduate from Claremont McKenna, California. Jamal’s other interests include music, classic cars, and restoring old/antique furniture. 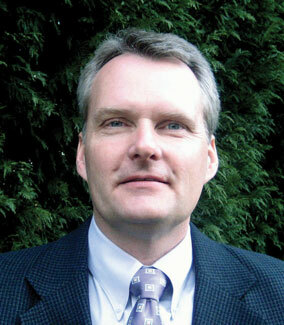 Bob Sakuta has been a partner in Delta Research Corp. since 1979, and the sole owner 1996. Delta Research is a manufacturer of prototype powertrains and their components for the automotive, off-road, and specialty sectors. 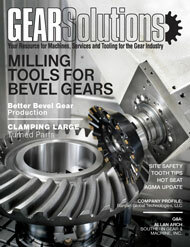 In 1998 Delta Research began grinding their gears in-house, which minimized the need to purchase outsourced gears. In 2004 it further decreased its dependency on outside sources by purchasing Tifco Gage & Gear Co. In 2010 Tifco’s name was changed to Delta Gear, and over the past seven years the company has purchased leading edge equipment and built a team of highly skilled personnel, making Delta Gear a premier manufacturing facility of high precision gears. In 2010 the company relocated to a state of the art facility in Livonia, Michigan, which will soon house the nation’s first contract gear metrology lab. With Diane, his wife of 36 years, he has raised three children. His son Scott and son-in-law Tony are both partners in the business. Bob graduated with a BBA degree from Northwood University in Midland, Michigan, in 1976, majoring in accounting with a minor in Business Law. Michael Smith graduated from the State University of New York. He began his career at Franklin Industries in the international sales department and moved into manufacturing; supervising manufacturing operations in seven foundries in Taiwan and China. From 1981 to 1989 he was managing director of Efel North America, an importer of manufactured cast Iron components from Belgium. He joined Capstan in 1989 and has been responsible for all sales and new business development efforts. Capstan is a leading producer of powdered metal gears and structural components, with four manufacturing facilities in North America. Professional affiliations include membership in the Metal Powder Industries Federation and the Society of Automotive Engineers. 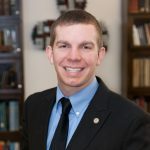 In any free time he enjoys golf and racquetball, and he lives in Wayland, Massachusetts, with his wife Beth and children Michelle, Christopher, and Scott. Mike Suter began his career with Emerson in 1984 upon graduation from Penn State University. 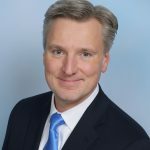 Beginning as a sales rep in the Northeast, he held a variety of sales management roles in Chicago, Los Angeles, and Atlanta before moving into marketing with Emerson in 1998. He currently oversees marketing for Emerson Industrial Automation gearing, conveying components, chain, and clutch products, as well as their material handling business. 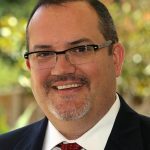 He is also responsible for division marketing communications and works out of the power transmission solutions headquarters in Florence, Kentucky. He and his wife Shirley live in Cincinnati and have two sons currently attending college. AGMA would also like to thank outgoing board members Ivan Brems, Richard Kuhr, Jack Nowlin, and Bryan Lammers for their years of service to the association and the industry. How do you present 100 years of history?